I view substance use, abuse, addiction, and recovery as learned behaviors -- issues of habit formation and lifestyle. Substance abuse and addictive behavior are learned or conditioned habit patterns that are motivated and maintained by the complex interaction of physical, psychological, social, and environmental factors. To say that substance abuse and addiction are "bad (self-defeating) habits" does not imply that changing them is easy. Most people can attest to the fact that habits can be very resistent to change. Changing any entrenched habit pattern, let alone addictive behavior, can be quite difficult -- but it is doable. Recovery, learning to live comfortably without the addictive behavior, involves learning to recognize and change the bio-psycho-social-environmental conditions that mantain the addictive habit. Recovery is learned by practicing new ways of thinking, feeling, and behaving. With commitment and persistence the new, more functional, ways of enjoying life and coping with problems become increasingly automatic or habitual and develop into a more satisfying way of life. I do not subscribe to a medical disease model of addiction that includes the spiritual “twelve-step” recovery programs based on Alcoholics Anonymous.I have no investment in convincing clients they are suffering from a disease that renders them “powerless” to help themselves and therefore in need of divine intervention. On the contrary, I see substance abuse and addiction as dysfunctional or maladaptive behavior patterns that can be changed. I believe that, as human beings, clients are inherently capable of recognizing their problems, learning from their mistakes, and taking appropriate corrective action. I support and encourage personal responsibility, self-control, and self-discipline as the basic requirements for initiating and sustaining lifestyle change. I see addictive behavior as a human problem with human solutions. I assume a neutral position on the issue of "spirituality." While I do not attempt to engage clients in spiritual/religious solutions, my approach is not hostile towards a client's spiritual or religious beliefs. If a client finds spiritual/religious practices helpful I encourage them to utilize these resources in their daily lives. However, my clinical interactions with clients are focused on helping them find and develop human solutions -- realistic and practical solutions grounded in the behavioral sciences and “common sense.” This approach can be helpful to anyone; regardless of whether or not a person is religiously or spiritually oriented. The core of my theoretical perspective and counseling technique is grounded in Rational Emotive Behavior Therapy (REBT). 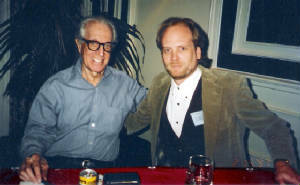 For additional information on REBT, please see the info page at Albert Ellis Institute website, http://www.rebt.org/public/about-rebt.html, and click on the"Frequently Asked Questions" link. I do not require clients to attend "12-step" meetings or subscribe to the AA/NA philosophy. However, clients may be recommended and encouraged to attend some of these meetings if they might be helpful or if clients have found them helpful in the past. Even though my approach is not a 12-step based program, it is not necessarily incompatible. Many clients have found that both approaches may have advantages the other does not. While there are often significant differences, there are many significant points of agreement as well.